The most riveting reads in history meet today’s biggest thriller writers in Thrillers: 100 Must-Reads.Edited by David Morrell and Hank Wagner, Thrillers: 100 Must-Reads examines 100 seminal works of suspense through essays contributed by such esteemed modern thriller writers as: David Baldacci, Steve Berry, Sandra Brown, Lee Child, Jeffery Deaver, Tess Gerritsen, Heather Graham, John Lescroart, Gayle Lynds, Katherine Neville, Michael Palmer, James Rollins, R. L. Stine, and many more.Thrillers: 100 Must-Reads features 100 works – from Beowulf to The Bourne Identity, Dracula to Deliverance, Heart of Darkness to The Hunt for Red October – deemed must-reads by the International Thriller Writers organization.Much more than an anthology, Thrillers: 100 Must-Reads goes deep inside the most notable thrillers published over the centuries. 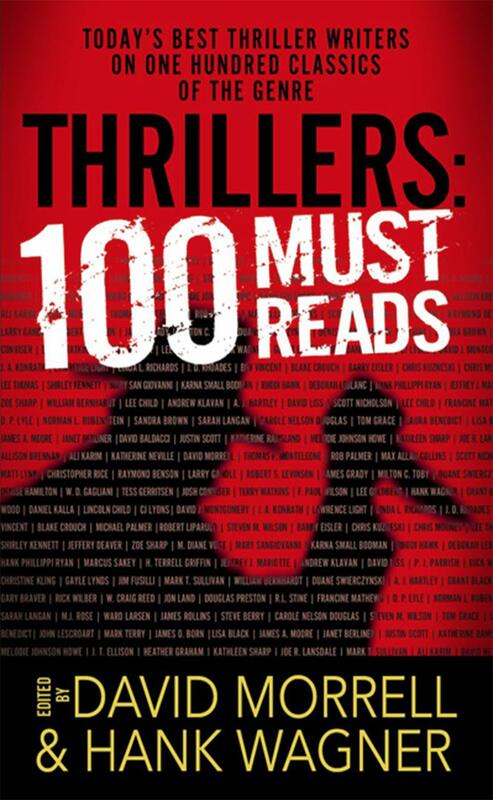 Through lively, spirited, and thoughtful essays that examine each work’s significance, impact, and influence, Thrillers: 100 Must-Reads provides both historical and personal perspective on those spellbinding works that have kept readers on the edge of their seats for centuries. NOTE: There is no preview or download content available at this time. Fill out the form below to create a review for thrillers-100-must-reads. Your review will have to be approved first before it will show up on the site.